Declaration of oral triple talaq by ex parte proceedings, action or otherwise may not be given force by Government machinery or the courts while dealing with the subject matter being contrary to constitutional ethos, particularly Part III of the Constitution, said the Bench. The Lucknow Bench of Armed Forces Tribunal has held that the Constitution is the mother of all law and has overriding effect over Personal Law as well as other provisions, practices or usage which offend the constitutional right of persons, collectively or individually. It also held that the declaration of oral triple talaq by ex parte proceedings is un-Islamic, inhuman and unconstitutional. The Order was delivered by a Bench comprising of Justice D.P. Singh and Air Marshal Anil Chopra in Lance Naik/Tailor Mohammad Faroor @ Farooq Khan vs. Chief of the Army Staff and Others. The Bench was dealing with a petition under Section 14 of the Armed Forces Tribunal Act, 2007 preferred by applicant being aggrieved with payment of maintenance to Ms. Arsey Jahan who happens to be his wife, allegedly divorced under the Muslim Personal Law. (i) Constitution is the mother of all law and has overriding effect over Personal Law as well as other provisions, practices or usage which offend the constitutional right of persons, collectively or individually. (ii) Nikah is based on offer and acceptance between man and woman. Unless both agree, there cannot be Nikah. On the same analogy, declaration of talaq or divorce by the husband must be done in the presence of the woman, i.e. the wife, and only in case both agree, talaq would be executed. In the event of disagreement, the option left is to file a Regular Suit for divorce wherein the Court may look into the grounds of both the parties and may accept or refuse the grant of talaq keeping in view the factual matrix on record. 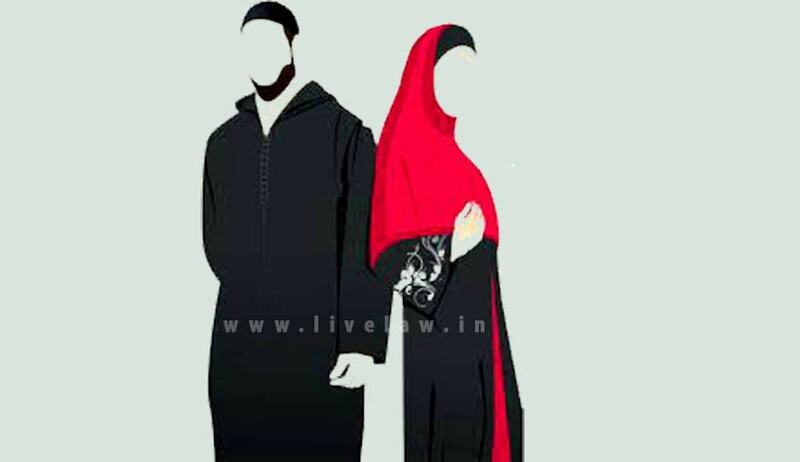 (iv) Under the Muslim Law, marriage is a contract and contract cannot be rescinded unilaterally Personal Law or Constitution of India does not entitle the husband to rescind contract, orally, by notice or by ex parte decisions, hence seems to be unsustainable, otherwise also it shall be bad in law. (v) In appropriate case, a person may be charged under the Penal Code (supra) for abusing his position as husband whether it is for the purpose of divorce or remarriage. (vii) It is duty of the Government as well as the Court to protect fundamental rights of the citizens which includes compliance of principles of natural justice affecting civil rights, quality, dignity and other facets of life necessary for human living. (ix) In none of the cases on behalf of the applicant or by the parties this point has been considered that Personal Law, usage or custom in case detrimental to fundamental rights or statutory mandate guaranteed by Part III of the Constitution may not be lawful. It is un-Islamic, inhuman and unconstitutional. (x) Declaration of oral triple talaq by ex parte proceedings, action or otherwise may not be given force by Government machinery or the courts while dealing with the subject matter being contrary to constitutional ethos, particularly Part III of the Constitution. (xi) Order passed by the Army authorities for grant of maintenance to respondent No 6 in pursuance to power conferred by Section 96 of the Army Act, 1954 read with Army Orders is perfectly within jurisdiction and calls for no interference. (xii) Women of every religion of the country are protected by Constitution of India and no person has right to go against constitutional spirit in the shadow of Personal Law. The method and manner of worship of God Almighty or the Prophet is the pith and substance of every religion. It may not be interfered by the courts subject to conditions flowing from Articles 25 and 26 of the Constitution. But so far as custom, tradition or usage is concerned, it may be interfered in case it is violative of fundamental rights guaranteed by Part III (Articles 14 and 21) of the Constitution. (a) Relief claimed by applicant lacks merit, hence we decline to grant any relief to the applicant and is rejected. (b) Respondent No 6 is entitled for maintenance in terms of order passed by the Army alongwith arrears of maintenance, in case already not paid. (c) The arrears of maintenance shall be paid to respondents No 6 within three months from the date of production of certified copy of the present order and shall continue to be paid the same till the Army Order survives. Army to enforce the order in appropriate manner.